Beach house, cute as a button Anna Maria Island condo for sale. Property Sales on Anna Maria Island at the end of the second quarter of 2018 show Y-T-D sales again up 5% at 234 (SF-137, Con-77, Dup-12 & Lot-8) compared to the same point in 2017 with Y-T-D sales of 223 (SF-128, Con-70, Dup-13 & Lot-12). Sales on Anna Maria Island for June 2018 were down 12% from June 2017. For June 2018 AMI sales were 36 (SF-17, Con-13, Dup-4, & Lot-2) compared to June 2017 at 41 (SF-25, Con-10, Dup-6 & Lot-0). In the last 12 months sales (July 1, 2017 to June 30, 2018) for Anna Maria City, Holmes Beach and Bradenton Beach were 414 (SF-234, Con-142, Dup-24 & Lot-14) up 6% over the previous 12 months July 1, 2016 to June 30, 2017 at 390 (SF-220, Con-127, Dup-25 & Lot-18). Of the last 12 months sales (June 1, 2017 to May 31, 2018) only 1% or 5 (SF-2, Con-2, Dup-1 & Lot-0) were distressed properties (bank owned or short sales) compared to 1% or 5 (SF-2, Con-1, Dup-2 & Lot-0) for the previous 12 months (June 1, 2016 to May 31, 2017). As you can see distressed properties have disappeared from the inventory. Inventory has dropped down again this month. Inventory is currently at 289 (SF-175, Con-83, Dup-19 & Lot-12). Inventory for the previous fourteen months was at 295, 308, 313, 308, 297, 254, 249, 231, 214, 223, 240, 254, 267, & 297. To summarize the Anna Maria Island market for the first six months of 2018 it’s continuing with very strong sales Y-T-D up 5% over 2017 which was an exceptionally strong sales year at 401 properties sold and historically low inventory which we have experienced since 2010. For the third month I have left the article that I put in May’s newsletter from a personal finance site (GOBANKINGRATES- see attached article) that used data from Zillow comparing median home prices from January 1998 and January 2018 in 25 cities around the country to identify those where prices had gone up the most. Of the top 10 cities it’s not surprising that 8 were in California, 1 was in Hawaii and the #5 city was Anna Maria. Holmes Beach was in the top 25 at #23…. WOW we are in pretty good company as far as appreciation of real estate! The properties on this month’s Frank, Scott & Al’s Great Buy’s list have some changes from last month. The property at 3603 4th Ave closed last week at $900,000. If you’re looking for a great location in Holmes Beach with peaks of the Gulf, then twice reduced Vitamin Sea 114 48th St. listed at $1,750,000 generates great rental income but also is a great location for a year around residence. 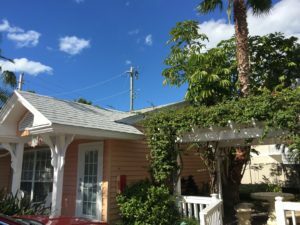 The two unit property at 601 Gulf Dr. S. Bradenton Beach that I recommended as a great investment property last month went under contract on 7/12/18. Call me for more information on these or other real estate opportunities. If you look at the average and median sales prices for single family homes and condos over the last 12 months versus the previous 12 months you can see that single family homes are up 7% & 9% respectively and condos are up 17% & 13% respectively year to year. Pended properties (properties under contract) continue to look strong this month again at this month at 76 (SF-51, Con-15, Dup-10 & Lot-0) which continues to bode well for continued strong sales over the next several months. Distressed properties continue to be non-existent again with only one bank owned single family in the existing inventory. Of the current AMI inventory of 175 single family homes the average sale price is $1,545,691 and the median sale price is $1,325,000. The lowest priced single-family home on the island is currently $360,000 and the highest priced is $6,495,000. For the 83 condos currently for sale on AMI the average and median sale prices are $629,682 & $504,750 respectively with the lowest $198,900 and the highest $2,600,000. The Longboat Key current inventory is 307 (SF-97, Con-177, Dup-3 & Lot-30) down from the last three months at 320, 377 & 403 and near the low of the previous five months at 304,314,336,345 and 374. Of the current inventory of 97 single family homes the average price is $2,111,677 and the median price is $1,189,000. For the 177 condos currently for sale the average sale price is $779,686 and the median sale price $549,000 with the lowest price at $175,000 and the highest price at $6,100,000. Pended properties on Longboat Key are 80 (SF-19, Con-40, Dup-0 & Lot-4) significantly up from last month at 63 and near the high’s for the previous eight months at 95, 113, 86, 45, 54 ,49, 62 & 86. There is only one distressed property on Longboat Key. THE GALLETTO TEAM of Island Real Estate, 6101 Marina Drive, Holmes Beach, FL 34217.